At Dauntless, we're big fans of Apple Macs. We develop most of the artwork that you see on our website on Macs and many of us personally use Macs in addition to PCs in our personal and work lives. For example, you may have noticed that most of our titles are available for iPhone and iPad, the development for which we of course did on our Macs. Mac (OSX) Titles Now Avialable! Unfortunately, however, we do not yet have a native Mac (OSX) version of the title you are interested in for your desktop or laptop Mac, though we might, at some point in the future. That's the bad news. The good news is that because Macs are so versatile, one of the really neat things that you can do with them is that you can run PC software on them. Many Mac users have reported success running our PC software on their Macs. You can too! The trick to this is getting a "Windows on Mac" program to act as an intermediary. 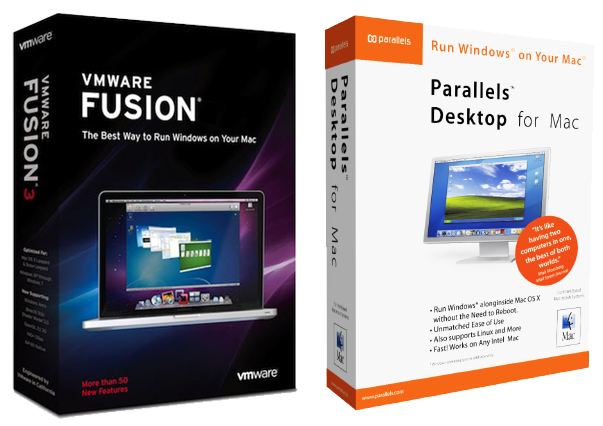 There are two here that come to mind VMWare™ Fusion and Parallels™. There may be others as well. By installing such an "intermediary" on your Mac, you'll most likely be able to run our Windows software happily on your Mac without any difficulties. So please do accept our apologies for not (yet) having a native Mac version of the product you're interested in, but don't let that stop you. We strongly suggest that you try one of these intermediary systems and you'll be good to go.